﻿ Paulo Futre: "Cristiano Ronaldo can become better than Eusébio"
22.09.2011 » Paulo Futre: "Cristiano Ronaldo can become better than Eusébio"
Atletico Madrid former legendary player, Paulo Futre, stated that Cristiano Ronaldo can succeed to Eusébio, as the greatest Portuguese football player of all time, well above names such as Luis Figo, Rui Costa or even himself, Paulo Futre. Paulo Futre was born in 1966 and definately had what we call an impressive career. He started playing in Sporting CP, just like Cristiano Ronaldo did, but he soon moved to F.C. Porto, in 1984, being only 18 years old. Representing the "Dragões", he would manage to win the European Cup in 1986-87 (known as the UEFA Champions League since 1992), in an epic final against Bayern Munich, where F.C. Porto defeated the Germans with a backheel goal scored by Rabah Madjer. At later stages of his career, Futre represented Atlético Madrid, Benfica, Marseille, Regianna, AC Milan, West Ham and Yokohama Flugels. 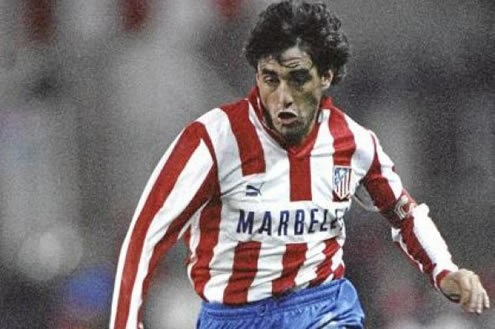 Paulo Futre is still regarded these days, as one of the best football players that ever wore an Atletico Madrid jersey. Paulo Futre: "Cristiano Ronaldo can turn out to be better than Eusébio. In a second line, we can refer names such as Luís Figo, or even Chalana (Benfica legendary player), who didn't manage to be successful abroad. There's also Rui Costa and perhaps even myself. I call this cathegory of players the "princes", because Eusébio is still the "King". If Cristiano Ronaldo keeps performing the way he has been doing, he's the only one who can become greater than Eusébio." One of Paulo Futre's greatest sorrows was losing France Football "Balon d'Or" (Golden Ball) in 1987, to the Dutch player Ruud Gullit, in a difference spread of only 8 voting points. That's an award that Cristiano Ronaldo already managed to win, precisely in 2008. However, Futre notes there's a big difference between his era and the current one, since the modern Portuguese National Team can't be seen as a "Ronaldo + 10" team, as it was the case when Futre played for Portugal between 1986 and the arrival of the "golden generation" (Vítor Baía, João Vieira Pinto, Rui Costa, Luís Figo and a few more). Paulo Futre: "That's true. It's my biggest sorrow. I didn't have the chance to play a single European Championship or a World Cup with my country, except for Mexico World Cup 1986, which was a big shame to all of us. I'm really sad for not having had more chances." The Portuguese also approached some of his best moments as a player and remembered one of his greatest goals of his career, scored against the Estonian National Team, in a "Estádio da Luz" over crowded with 120.000 fans watching the game. Paulo Futre has been one of the greatest football players of his generation, but somehow, he got forgotten by many people all over the World, including his home country, Portugal. In March 2011, Futre joined a list for taking a position in Sporting CP management structure, as football director. His list would end up to lose the race, but his peculiar and funny press conference certainly allowed to turn the spotlights to him, with hilarious quotes like "planning to create a department to bring the best current Chinese football player". Futre: "That's part of life. Somehow, I managed to receive my tributes "lagged" in time, with several years of delay, after having made that press conference. Lots of kids only know me these days, because they started looking on the internet about me, just after I had that press conference. They probably thought I was Argentinian or Uruguayan, but I'm happy that such an event helped them to look further and realize how incredible my past and my life story were." Real Madrid next game will be against Rayo Vallecano, next Saturday (24-09-2011). You can watch Real Madrid vs Rayo Vallecano free stream, inside our Live Games Streams section. Cristiano Ronaldo is will most likely be in the line-up. The countdown clock timer, displaying the time left for the next Ronaldo game, is shown on the top right corner of all pages. Remember that also on Saturday, besides Real Madrid playing, you can also watch Barcelona vs Atletico Madrid and Stoke City vs Manchester United streaming, in our "Live" section.